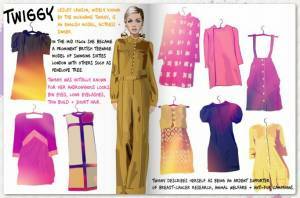 ARSIP 2012/11 - Stardoll | Bahasa Ind. KStew Rules The Red Carpet! For the premiere of Twilight Saga: Breaking Dawn Pt. 2, Kristen Stewart definitely took it to a whole other level! Ashley Greene and Nikki Reed just haven't been able to keep up with her. From Spain, to the UK and USA, we’ve simply never seen Kristen look this good! Since we are obsessed with all of her outfits we thought we’d let you guys crown a winner. Which of Kristen’s premiere outfits did you like the most? Vote below! Brad Pitt FINALLY Talking Marriage: "The Time Is Nigh!" We've wondered for so long now when Brad Pitt and Angelina Jolie will get married, and now Brad himself says that the wedding will take place in the near future: "The time is nigh", he just stated. They haven't set a date yet, but they're ok with that: "I don't even know what's going to happen in two weeks", he said laughing. Their kids are the ones who's pressuring them to get married very soon: "I am getting more pressure from my kids, and it is something I want to do within their lifetime, but I also feel like the time has to come... It's soon. I got a good feeling about it". Awww, isn't Angie just a very lucky woman? !